"At Revival Books we found the Code of Conduct audit to be extremely smooth and well conducted. We were kept informed at every stage as to what would be required and why. Jill was able to fully relate to our environment and took a common-sense approach to the audit in relation to what she suggested and asked us to implement. During the staff interviews she made the staff members fully aware of why she was asking the questions she did and none of them felt uncomfortable answering the employment based questions. SATCoL is one of our largest clients in the South East Area and we are looking forward to continuing to work alongside them in the future." 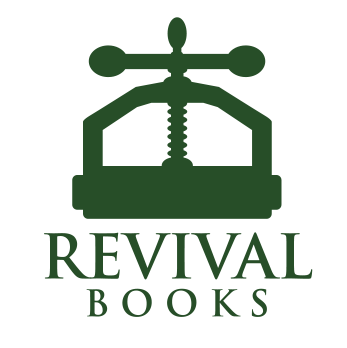 Revival books are based in North West England Rossendale, Lancashire and have a small office in Wallington, London. Across the UK on an annual basis Revival Books contribute over £100,000 to charities for old books and libraries where they buy withdrawn books and this will continue to grow as more organisations join their book buying scheme. Revival books Ltd work with over 300 charity shops around the North of England and on an annual basis provide funds of around £75,000 to these charities. They are always open to consider good causes which could benefit from donations of books. Did you know that it takes 24 trees to make one tonne of newspaper? They currently recycle 7 tonnes of paper every working day, so they save 42,000 trees per year. Furthermore 70% less energy is required to recycle paper compared with making it from raw materials. So on top of saving trees they ensure that considerably less carbon is used in the manufacture of paper. Revival Books Ltd ensure that the books where a second or further life can be found are not pulped so limiting the need to unnecessarily produce additional copies. This policy also enables Revival Books to pay for books where others may not be able to do so. The company has worked with the Retail Division for 5 years and currently collects books from the charity shops in South London. SATCoL is looking forward to working with Revival books Ltd in the near future in the North West of England.